Adaptive Bodywork is a holistic modality that originates from Rolf Structural Integration and is developed by human Structural integration facilitators. Practitioners of Adaptive Bodywork view your body holistically and use their bodies adaptively (hands, feet, arms, elbows etc.) to optimize your body on a variety of surfaces (floor, table, bench, etc.). The work realigns and properly tensions the your fascial support network, laying down a new and more youthful structural architecture. As a client you are continuously engaged and participates actively during this entire process. WHAT MAKES ADAPTIVE BODYWORK DIFFERENT? Adaptive Bodywork is applied gently and sensitively, with full client participation. Adaptive Bodywork seeks client autonomy. Although many people come for Adaptive Bodywork because of some kind of pain or restriction, the intent of this work – especially when undertaken as a series of sessions – is to get to the condition behind the immediate problem and resolve it. Many shoulder injuries, for instance, are caused by the lack of support from the rib cage. What’s the point of fixing the immediate problem if you don’t at the same time moderate the cause? The Adaptive Bodywork series is designed to progressively build support, sturdiness, and balance throughout the structural system, so that there is a whole new ‘frame’ underlying your posture and movement, which can keep old injuries from coming back and help to prevent new ones from happening. Ida Rolf used to joke: “If your symptoms get better, that’s your tough luck.” An Adaptive Bodywork practitioner may or may not address the area where you are having pain or restrictions right away – the roots often lie at some distance from the presenting problem. It may take several sessions or most of the series to get to the specifics of the problem, since we have to build up the supporting structure first. In this way, Adaptive Bodywork more resembles classical acupuncture or homeopathy or osteopathy, where the symptoms were secondary and building the ‘constitution’ is primary. Adaptive Bodywork is not imposed on the client. The work should be on this side of the pain threshold, and the client and practitioner work out where the pressure and intensity level should be for maximum benefit. No good will come of ‘grinning and bearing it’ through an entire series. Occasionally, it is beneficial to ‘expose’ pain stored in the body, but imposing pain is not a part of Adaptive Bodywork. Your movement produces several benefits: it lessens the sensation by spreading it out, it engages your proprioception (inner sensing) that helps integrate the work, and it also helps the practitioner stay on the right layer of fascia during the release. 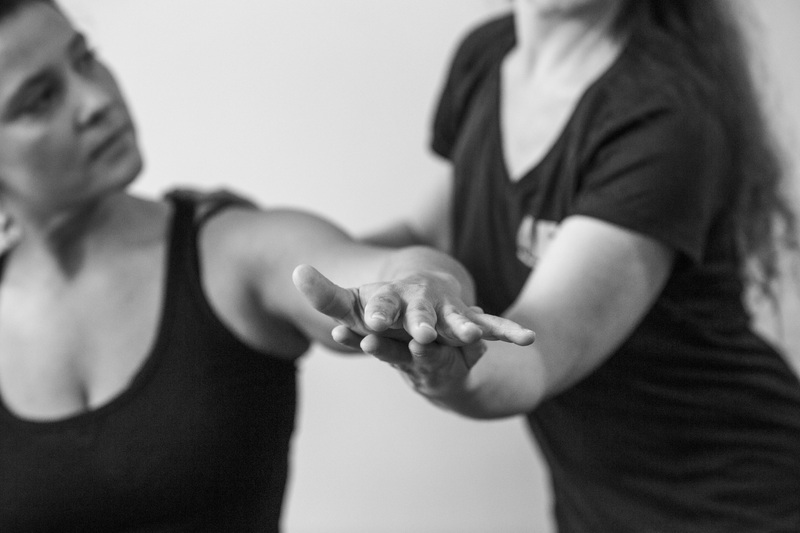 Thirdly, your Adaptive Bodywork practitioner wants to hear about how the process is affecting you – physically, emotionally, in your exercise or other performance activities. Letting your practitioner know what’s up is very helpful in getting the best work for you. The Anatomy Trains Myofascial Meridians provide a way to define the territory of each session, allowing the practitioner to be both confident that they are getting the proper territory, but also creative within each session to ensure that each individual client is getting the exact work that his or her unique pattern requires. The Adaptive Bodywork school, and Adaptive Bodywork practitioners, welcome other therapeutic inputs to your process. Adaptive Bodywork is compatible with osteopathy, chiropractic, cranial work, and most forms of massage, yoga, and exercise. We recognize that no way is the ‘one true way’ in manual and movement therapy, and we are always learning from other disciplines. Sometimes we absorb what we learn into our work, and sometimes what we learn tells us when to refer to the other competent professionals within the wide spectrum of healing available. The Adaptive Bodywork series is a project, with a beginning, a middle, and an end. The idea is to create the conditions where the client is independent and stable on their own, not to create a long-term dependency on the therapist or continued work. Of course people come back for more work, but not on a continuous basis. This work does its best in short, intense periods of work, followed by longer periods of absorption. We want you, within a reasonable period of time, not to need us any more.